In AD 962 Otto the Great becomes Holy Roman Emperor. In this age of the 'itinerant kingship,' the king did not rule from a capital but travelled from palace to palace. In The King's Will, the players assume the role of the dukes whose palaces the King is visiting. They try to find out what the King's current will is and climb in his favour while they steadily enlarge their duchies. After four rounds, the duke (player) who proved himself to be the best in meeting the wishes of the King will win the game. 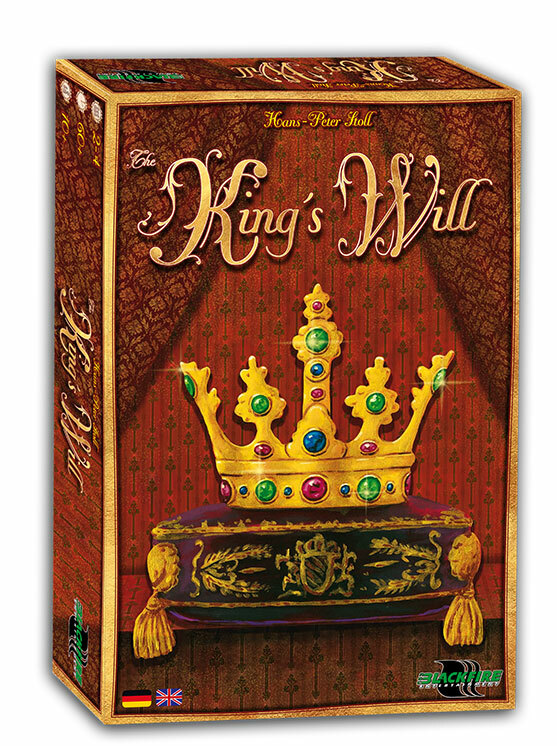 "The King's Will" is a ressource management game from Hans-Peter Stoll. 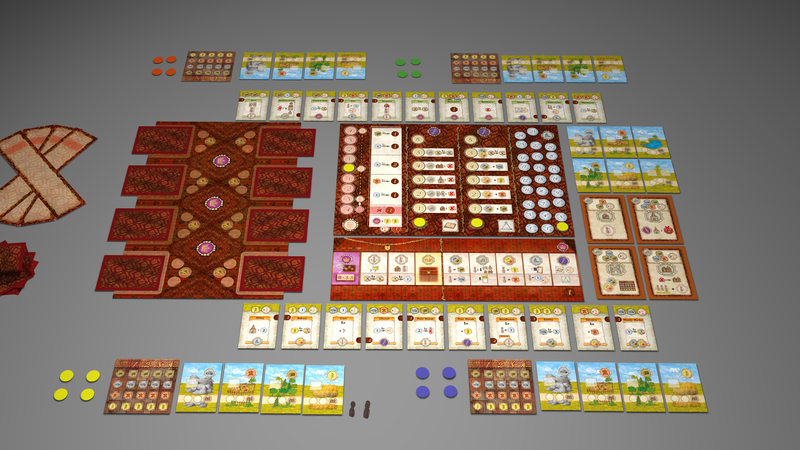 It is suitable for 2-4 players and takes a bit more than 60 minutes to play. Players assume the role of dukes who are constantly visited by the king. They gain victory points by guessing or discovering the king's will and fulfilling his wishes. The victory conditions in this game are set up completely different every game and need to be discovered by the players throughout the game. Over four rounds players try to improve their duchies. They add terrain, found settlements, construct buildings and get first victory points when they provide voluntary levies for the King’s journeys. Certain cards, the so-called King’s Will cards, determine the conditions according to which the players will receive victory points in the final tally. It is important for the players to gain information about the King’s Will as early as possible during the game, because only in this way they can avoid the King’s Wrath, if they do not take his will into account.